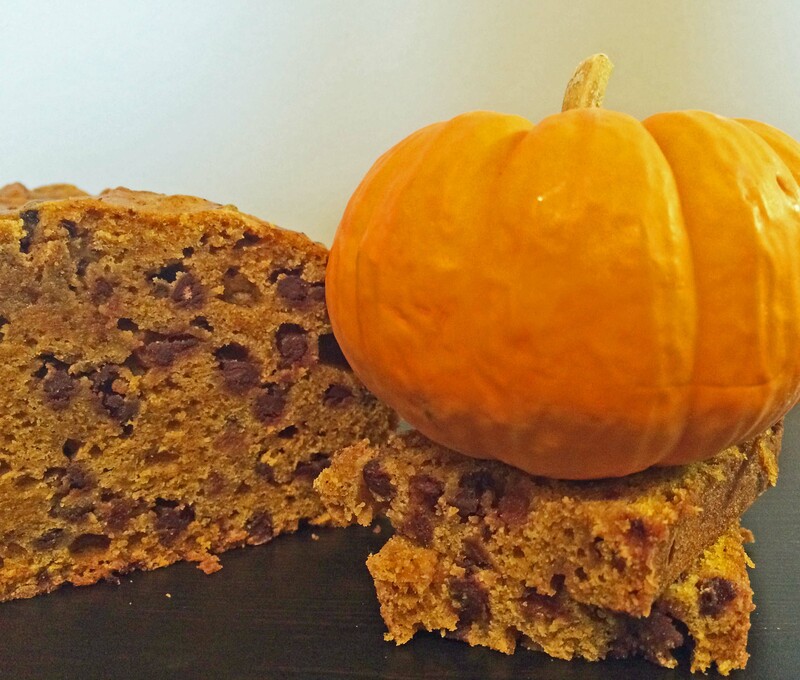 Chocolate Chip Pumpkin Bread | how 'bout some cake? It’s finally here: my first Autumn back on the East Coast. The leaves are changing and crunching under my feet. I’m pulling scarves and boots from the deep recesses of my closet. The temperatures are dropping and this all culminates in the perfect excuse to stay in and bake on a Saturday night (which I did, with a glass of Pinot Noir and no shame at all). 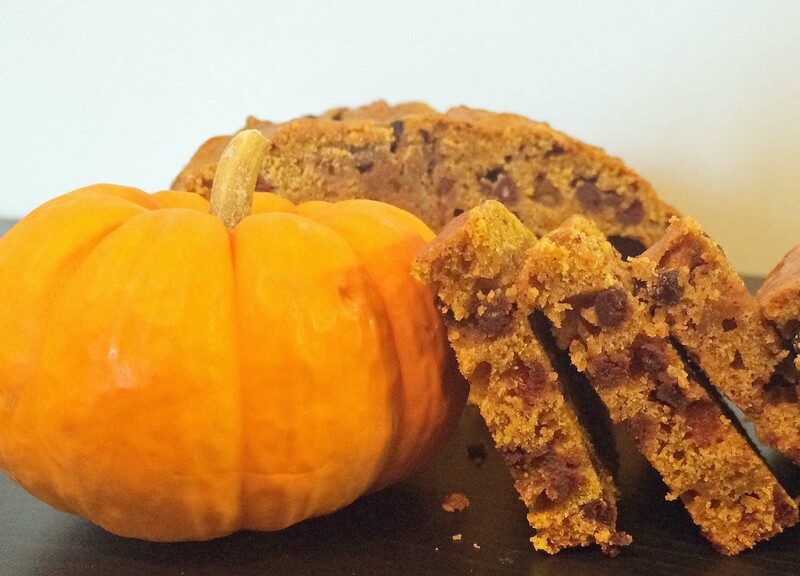 I wanted to make my mom’s delicious Pumpkin Bread, but she was off visiting her dear friend in the North Carolina mountains so I had to improvise with an adapted recipe from the internet. It wasn’t Mom’s, but no complaints. To make your own, set your oven to 350F. Grease two bread pans, or muffin pans (I did one of each). Once both bowls are mixed well, slowly add the wet mixture to the dry one, stirring as you combine them. Divide the batter into the pans and bake for 45-60 minutes (more like 30 mins for the muffins). You’ll know they’re done because a toothpick will come out clean. Now if you need me, I’ll be snuggled in bed with a book, a few of these slices, and a nice hot mug of spiced apple cider! 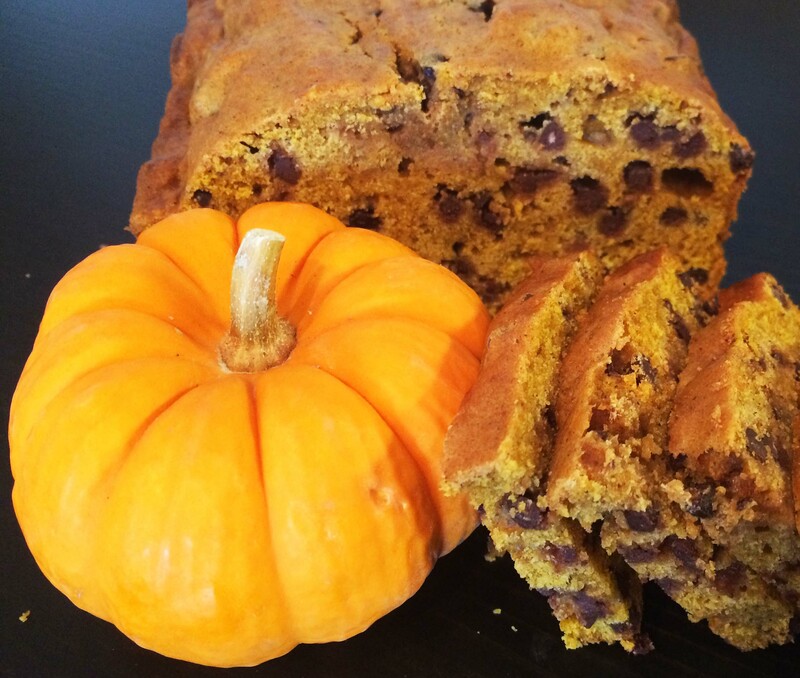 This entry was posted in food, Food & Recipes and tagged bread recipe, chocoalte chip pumpkin bread, pumpkin bread recipe, recipe. Bookmark the permalink. omg yum! looks amazing! xO!